Forrest Tucker (Robert Redford) has led a remarkable life of crime - from his audacious escape from San Quentin at the age of 70 to an unprecedented string of heists that confounded authorities and enchanted the public. Wrapped up in the pursuit are detective John Hunt (Casey Affleck), who becomes captivated with Forrest’s commitment to his craft, and Jewel (Sissy Spacek), who loves him in spite of his chosen profession. 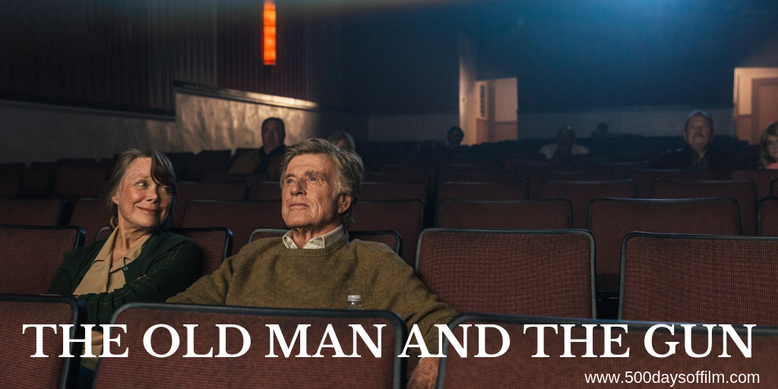 Rumoured to be Robert Redford’s acting swansong (which may or may not be true) and loosely based on a true story, The Old Man And The Gun is an enjoyable, if not wholly satisfying, watch. It is, of course, great to see Redford on the big screen once again and, as a result, I really wanted to love his performance and David Lowery’s film. However, the film didn't sit right with me and I still feel conflicted. The problem does not lie with the remarkable story or Lowery’s direction. The problem does not lie with the film’s impressive cast - they all give good performances. I just didn’t feel connected to Forrest or his gang of bank robbing seniors. In fact, the opposite was true. While I felt that The Old Man And The Gun wanted me to view these men as charming rogues who commit largely victimless crimes, I couldn’t help but see them as selfish, deeply unsympathetic individuals. Indeed, the sole person I actually warmed to was (unsurprisingly) Sissy Spacek’s Jewel. She was the only character that felt truthful and, as a result, came alive for me in The Old Man And The Gun. However, the more I think about The Old Man And The Gun, the more I wonder if this was actually Lowery’s intention. He is, after all, the director of A Ghost Story and Ain’t Them Bodies Saints. So no stranger to nuance. Perhaps we are meant to feel conflicted towards Forrest - a man who struggles with the fact that his passion and brilliance lies in something damaging and dangerous. Perhaps Lowery - fully aware of the complexity of the story and keen to avoid yet another throw-away heist movie - has made him fundamentally unlikeable on purpose. Have you seen The Old Man And The Gun?